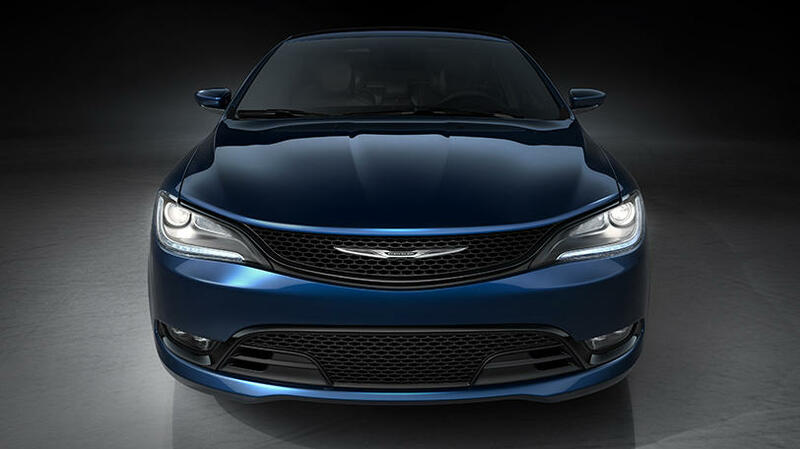 The new 2015 Chrysler 200 was finally announced and everyone is talking about it. 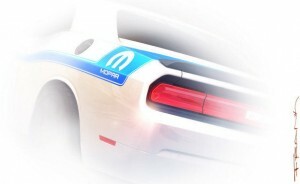 While everyone is talking about what the vehicle is bringing to the mid-size sedan but one thing that Chrysler is making clear is that from the very first day that the vehicle is available to the public, so too will Mopar be there to help drivers make the 200 the perfect car for them. At the North American International Auto Show, where the 200 was announced and shown off for the first time, Mopar brought with it more than 45 parts and accessories to their showcase. All-in-all, when the 2015 Chrysler 200 hits the road, it will have 200 different Mopar parts and accessories to choose from with an additional 90 before the end of the year. For more information on the upcoming 2015 Chrysler 200 and its various Mopar available parts, contact us at Bayside Chrysler Jeep Dodge. You can also download our mobile app to schedule a time to be seen in our quality service department. Be sure to like us on Facebook and to follow us on Twitter to see our monthly parts and service specials. We recently wrote about the concepts that Jeep and Mopar are teaming up to bring to the Easter Jeep Safari. Since then, the event has gone underway and more information is available on the six models being presented. 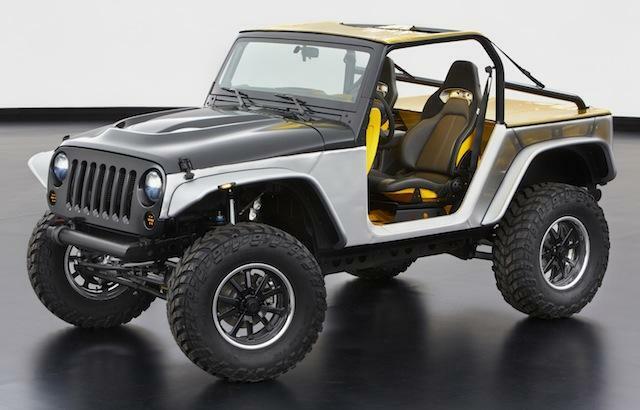 Turns out the concepts are the Jeep Grand Cherokee Trailhawk Concept, the Jeep Wrangler Mopar Recon, Jeep Wrangler Stitch, Jeep Wrangler Sand Trooper II, Jeep Wrangler Flattop, and the Jeep Wrangler Slim. Auto Media decided to focus on 3 of the concepts. The first one they looked at is the 2014 Jeep Grand Cherokee Trailhawk. This new Jeep contains the much talked about and much desired EcoDiesel engine. The outside is clad in blood-orange paint and has 35-inch off-road Micky Thompson tires, along with custom fender flares and capped off with a modified SRT hood. Next up is the Jeep Wrangler Mopar Recon. The template is the Jeep Wrangler Rubicon. Underneath the hood is a 6.4-liter HEMI V-8 crate engine, capable of 470 horsepower. The Wrangler Recon is built to be tough and shows that by having many features that make it capable to withstand some punishment. Mopar put a Warn winch, high-clearance flat fenders, and rock rails on the Jeep along with the Rubicon’s 10th Anniversary hood on for good measure. All of this is clad in a slate gray paint-job. Last is the Wrangler Stitch, also a mod of the Wrangler Rubicon. What Mopar did to this was put the Wrangler on a diet, shedding over 3,000 pounds to make it a similar weight to the Jeep Grand Cherokee SRT. That weight loss didn’t diminish the qualities though, so don’t fear. The list of goodies included is quite long and includes, 17-inch aluminum wheels, customer DynaTrac Pro Rock 44 axles with 4.88 gears. Planning a spring getaway or just need to figure out why the ‘check engine light’ is on, stop on into the service department at Bayside Chrysler Jeep Dodge. We offer top quality customer service and want to make sure you work only with the best. If you’re looking to do some additional work on your vehicle, you can shop online through our website at theMopar E-Store. 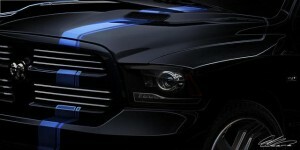 For more Mopar news and special monthly offers, like us on Facebook and follow us on Twitter. 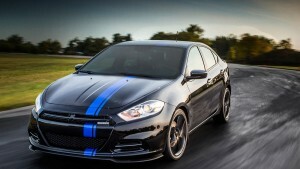 Mopar has gotten their hands on the new 2013 Dodge Dart and is giving it their usual love. At the Chicago Auto Show, Mopar will be unveiling just what they’ve done to the Dodge Dart to give it a little something extra. That extra includes enhancements to the performance of the machine including a lowered sport suspension, revised steering calibration, sport-tuned exhaust, ground-effects kit, and a premium brake kit with slotted rotors. On the inside, the part maker is giving the driver’s seat customer leather. Also, in an industry-first, a wireless charger for smartphones. Availability for this new Dart will be extremely limited, with numbers being at only 500 models. Production begins in spring at the plant in Belvidere, Illinois. You can shop for Mopar’s quality parts online at the Mopar E-Store online at Bayside Chrysler Jeep Dodge. You can also see our monthly parts and services specials available only at our dealership. Make sure you like us on Facebook and follow us on Twitter for more Mopar news and monthly specials. With 2013 we’re one step closer to the future. I feel the appropriate joke to make at the moment is to ask where my flying car is. One thing that is undergoing a major change in the coming year will be how your car gets serviced. Chrysler is leading the way in bringing a new way of having your car looked at. Detroit News lays out just how much a difference you going to be seeing when you pull your car in to the service department. You’ll now be greeted by someone with an iPad in hand. They’ll plug the device into your vehicle and be able to see all the important information for it. Everything from how much air pressure is in your tires to seeing any recalls in effect for any parts currently on your car. The new system will operate with a cloud system that the iPad connects to. Once the technician has the vehicle all hooked up, all the information linked to the car on the cloud will be at his instant access. It will lead to a much better customer experience and a more thorough diagnosis for any problems. Chrysler is still getting everything to work the way they want it to. They want this technology in all their dealerships before the end of 2013. The march of progress is always fascinating, and in this case, is a welcome improvement for the consumer. Have a vehicle that needs some repair work done? Stop by the service department at Bayside Chrysler Jeep Dodge and get your car back out on the road. Like us on Facebook and follow us on Twitter to see all the available service and parts specials we’re currently running. Mopar fans know that the SEMA show is when to expect the very best of the company. There’s this sense of it being an early Christmas. The parts maker understands this. SEMA has been notorious for them in the same way the store front is for most retail stores. What is changing this year, however, is the approach Mopar is taking once the curtain falls on the auto event. What they did this year was take their trucks for a detour. Instead of taking the concept cars back home, Mopar stopped at L.A. To give car journalists a better look at what stole the SEMA show. Everything from the Jeep Sand Trooper to the Dodge Charger Juiced. It’s not something those who cover the industry are used to, but it did give them an unprecedented at Mopar’s fantastic new special vehicles. Go online to Bayside Chrysler Jeep Dodge where you can view the best that Mopar has to offer consumers with the Mopar E-Store. Like us on Facebook and follow us on Twitter for more deals and offers on vehicles at the dealership. The celebration of the Mopar 75th Anniversary had already started with the announcement of a new Chrysler 300. It’s an impossible goal these days to achieve. The current economic climate has made it incredibly difficult for companies, no matter how much legacy they have, to stay afloat. To be able to say that, 75 years after beginning, you’re still alive and kicking is worthy of a grand celebration. Mopar is one of the companies that can now say there’s a reason they have been around for 75 years. 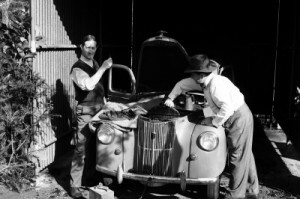 It’s hard to believe the the company started as just a parts line and service arm of Chrysler Group back on August 31, 1937. Mopar has changed with the times and is a completely different beast in the time since its inception. One thing that hasn’t changed is the idea of providing quality expert service and quality parts to consumers. Pietro Gorlier, President and CEO of Mopar, had a message about the anniversary, “The Mopar brand has a proud, 75-year heritage. The mission at Mopar today is to fully support all of our brands by providing every single one of our customers with exceptional after-sales experience. We will do this by continuing to offer cutting-edge technology, innovative products, authentic, quality-tested parts, and high-quality customer service. The fact the company has been around for 75 years isn’t a mistake, it’s a reflection on the how well they have done to transition with the times. The Mopar of today has evolved into a world-wide brand. The name is in more than 120 different countries, they sell more than 500,000 parts and accessories. Mopar has more than 45 commercial offices and 50 parts distribution centers. It’s very clear from looking at their growth than hitting the milestone of being around for 75 years was no mistake, and that in 25 years, we’ll be looking back at 100 years of Mopar. Go online to the Mopar E-store at Bayside Chrysler Jeep Dodge to experience for yourself the quality that comes with Mopar parts and services. Be sure to like us on Facebook and follow us on Twitter for all the information of Mopar’s 75th Anniversary Celebration.